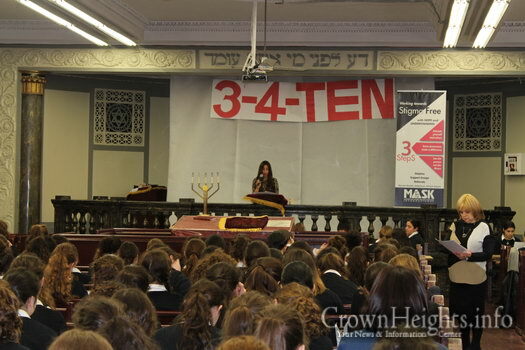 On Monday, Hei Iyar, students of Bais Rivka High School participated in a MegaHealth day. 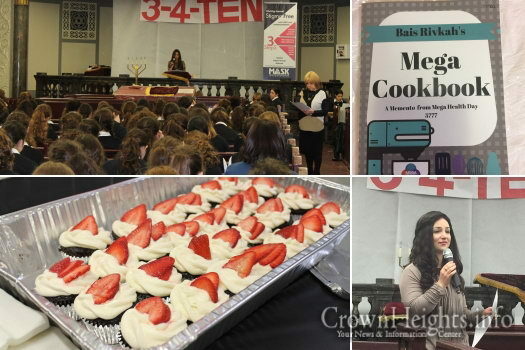 The goal was for girls to spend time focusing on the proper way to achieve health in mind, body, and soul, and to raise awareness of the challenges and resources found in our community. 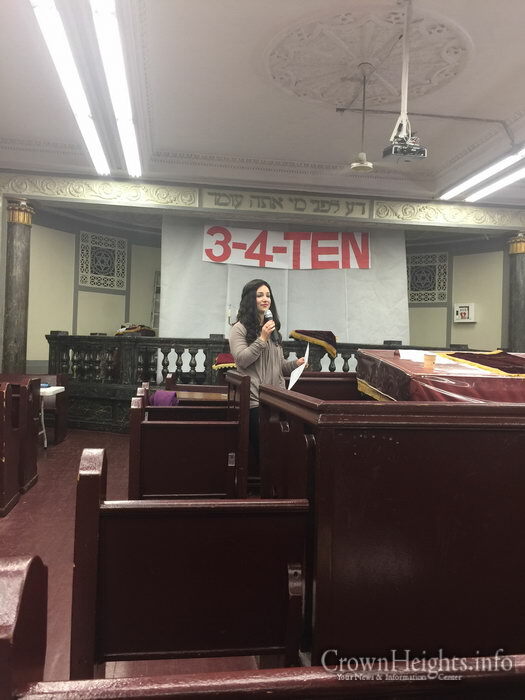 The tone for the day was set with a powerful video presentation exploring how chassidus and Torah shed astounding light on mental health. 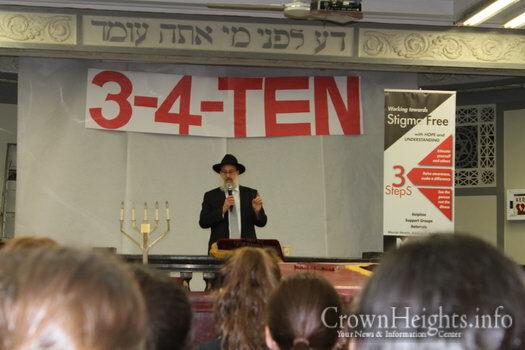 We are commanded by Torah that one must watch out for his own safety and wellbeing. Chassidus provides one with various practical tips and tactics for battling the negative or overwhelming life circumstances that may arise. 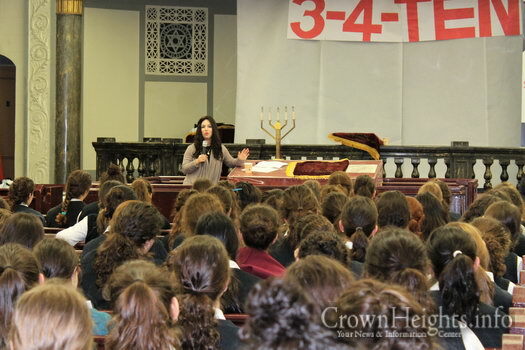 The girls got a glimpse at some powerful letters of the Rebbe that discuss how to cope with worries and depression. Later on, they were privileged to hear from three remarkable professionals in the field of mental health. 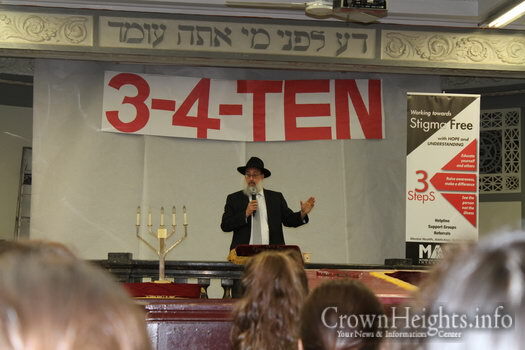 Rabbi Daniel Schonbuch L.M.F.T spoke about the role of positive thinking as a means to overcome depression and anxiety. 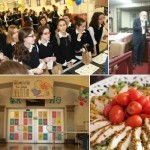 He based this off of the famous teaching of the Tzemach Tzedek, “Tracht gut vet zein gut”. He explained how having a goal and working to get there is a powerful way for one to keep going, despite difficult circumstances. He stressed the importance of living for a higher purpose, rather than succumbing to present struggles. Next, Mrs. Devory Levin L.M.H.C. discussed various ways to maintain a healthy body image. She demonstrated how comparing oneself to others in terms of looks can be detrimental to one’s health and happiness. 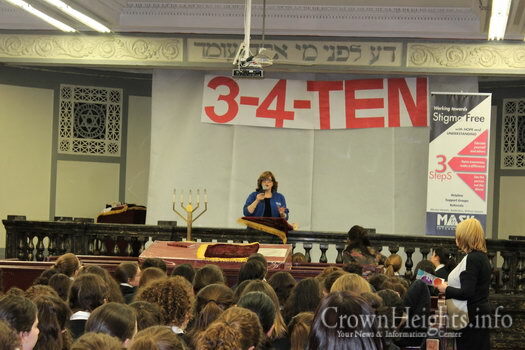 She urged the girls to judge themselves, as well as others, based on inner strengths and qualities, disregarding society’s distorted perception of beauty. Afterward, the girls were addressed by Mrs. Ruchama Clapman, founder and executive director of MASK, a referral organization with many support programs. She encouraged the importance of increased awareness of mental illness. 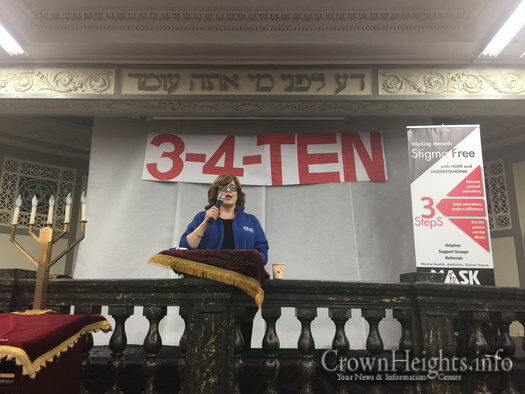 Throughout her talk she stressed the urgency of reaching out for help, assuring all that there is a way out of mental illness with the proper tools and support. 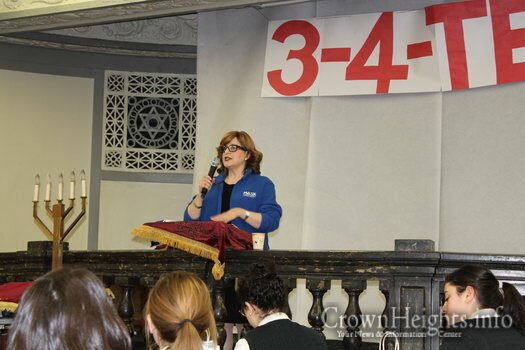 She pointed out that recognizing problems at their outset will help prevent the development of more complex issues. 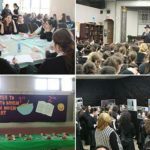 To end off on a more personal note, the girls split into smaller groups, where they heard a firsthand account from two individuals who battled anxiety and depression, Mrs. Nachamy Rabin and Mrs. Musia Baumgarten. 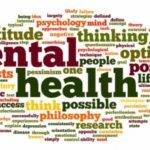 This opportunity of having such a close up view at how normal mental illness can be had a strong impact on the girls to strengthen themselves and reach out for help if necessary. The girls then had an opportunity to ask any questions they had, and an information booth was set up by MASK as a chance to learn even more. 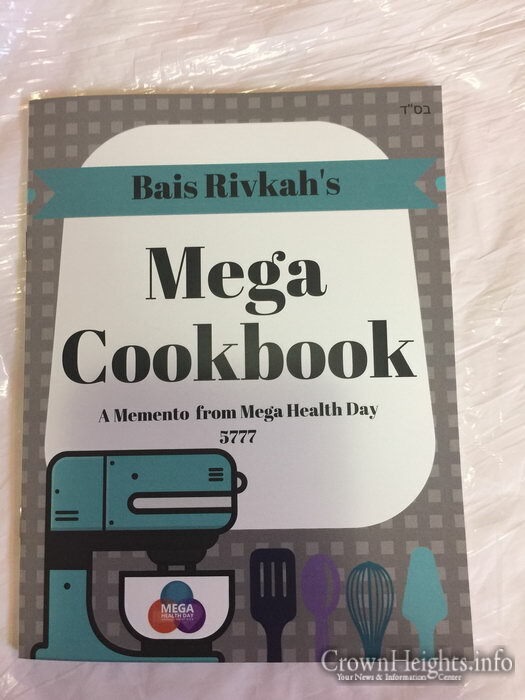 As a token from this significant day, the girls received a beautiful cookbook that was put together with their very own scrumptious and healthy recipes. 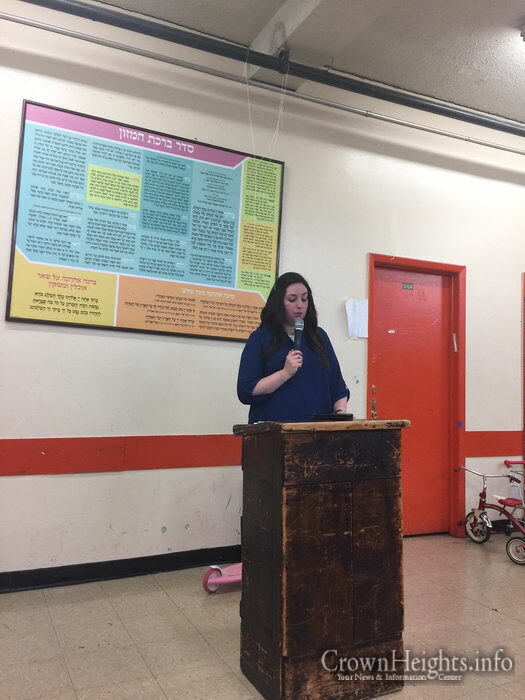 Bais Rivka would like to thank all of the staff and students who made this day possible, as well as all of the incredible speakers for giving of their time! 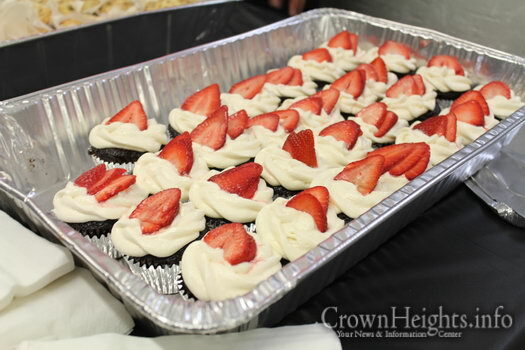 Those cupcakes look deliciously UNHEALTHY.